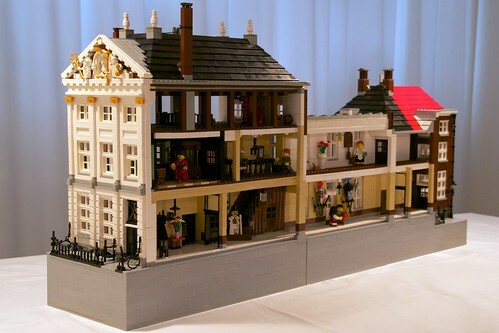 Brick Town Talk: Breaking the Fourth Wall - LEGO Town, Architecture, Building Tips, Inspiration Ideas, and more! Leiden, the Netherlands - (BTT) It really is true - they don't make 'em like they used to. Clocking in just shy of 400 years old, this townhouse shows no signs of going anywhere anytime soon. For those of you with voyeuristic tendencies, the missing wall allows a great view into the lives of others, as well as a great chance to appreciate all the fine interior detailing.